Production area: Unterhausen, below Hocheppan Castle. Position: south-eastern slope at the foot of the Mendel mountain range. Soil properties: morainic soil with a high stone content and deposits of red clay. Fermentation and finish: spontaneous fermentation in stainless steel tanks and following eight months maturing in a large wooden barrel of 55 hectolitres. 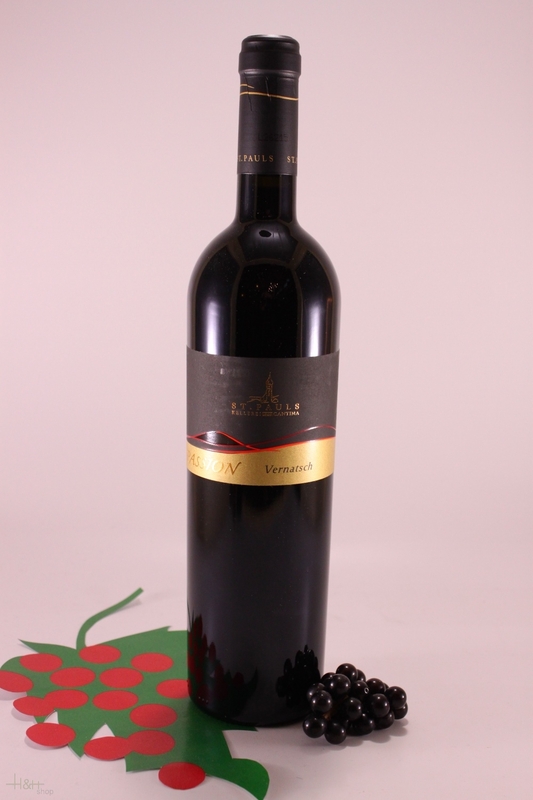 Description of wine: based on its fullness and body, it is an extraordinary Vernatsch. "Wine Enthusiast" has rated the wine "Kellerei St. Pauls 'Passion' Vernatsch Alto Adige, Trentino-Alto Adige, Italy" from the vintage 2013 on 06.01.2015 with 89 of 100 points. "Vinum Wine Magazine" has rated the wine "Kellerei St. Pauls 'Passion' Vernatsch Alto Adige, Trentino-Alto Adige, Italy" from the vintage 2012 on 01.08.2014 with 15 of 20 points.